Newborns, Midwives, Obstetricians, Expectant Mothers, Women In Labor, Falsely Accused, Secrets, Fever. Good St. Raymond, pray for us and obtain our request. Good St. Raymond, pray for us and obtain our request. Good St. Raymond, pray for us and obtain our request. 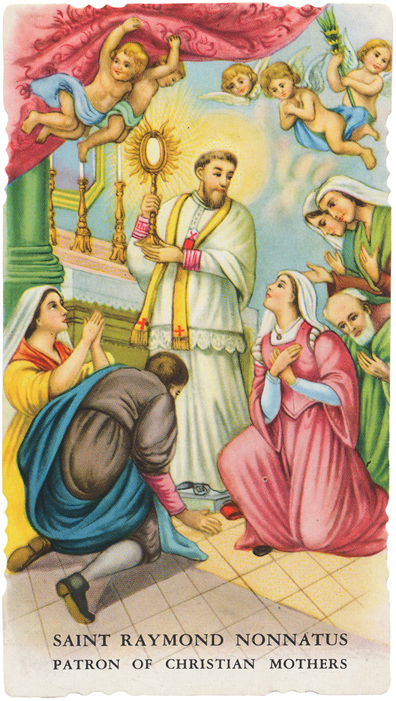 This entry was posted in Novena, Prayer, Priests, Saints and tagged Novena by sandra dipasqua. Bookmark the permalink.